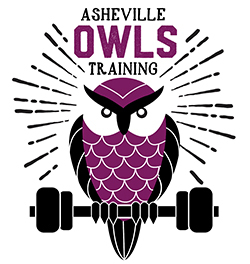 Welcome to Asheville OWLS Training, personal training focused on the needs of our actively-aging community. Asheville OWLS programs not only restore, but also improve, the body’s functional and cognitive abilities. Because age is simply a consideration - not a barrier - OWLS clients are safely challenged by exhilarating workouts. It is never too late to begin an exercise program; nor is it ever too late to benefit from exercise. If you feel unsure about how to exercise in a way that feels safe, manageable, or effective, my coaching will put you at ease. After only 4-8 sessions, OWLS clients report noticeable improvements with ease of daily movements, an increase in energy, and even a reduction of everyday body aches. 1-on-1 Personal Training with Leah Brennan at the Asheville Racquet Club puts you on the fast track to achieving your fitness and health goals. Committing to a workout routine is undoubtedly difficult. But many people feel empowered to do so when backed by the camaraderie of a supportive group. Hear what Leah’s clients are saying about their experiences training with OWLS. Studies have consistently shown muscular strength and endurance gains following exercise training in older adults. Conversely, adults who do not incorporate resistance training into their lifestyles lose about 3 pounds of muscle every six years. Be assured that a basic strength-training program can restore that 3 pounds of muscle in just 3-4 months. I work hard to help each client restore and gain muscle! Training is offered at the Asheville Racquet Club, conveniently located downtown between Westgate Shopping Center (Earthfare) and Sam's Club.